Do you have an eye for design, and have a vision in mind for your custom screen print T-shirt? At Teeko, we put the creativity in your hands! Use our state-of-the-art Design Studio software to easily create your own design, then order shirts online. When you use our T-shirt printing services, you have a wealth of resources at your fingertips—whether you create your own design or let one of our designers handle it, you’re going to look great! Here are the options you have with Design Studio. 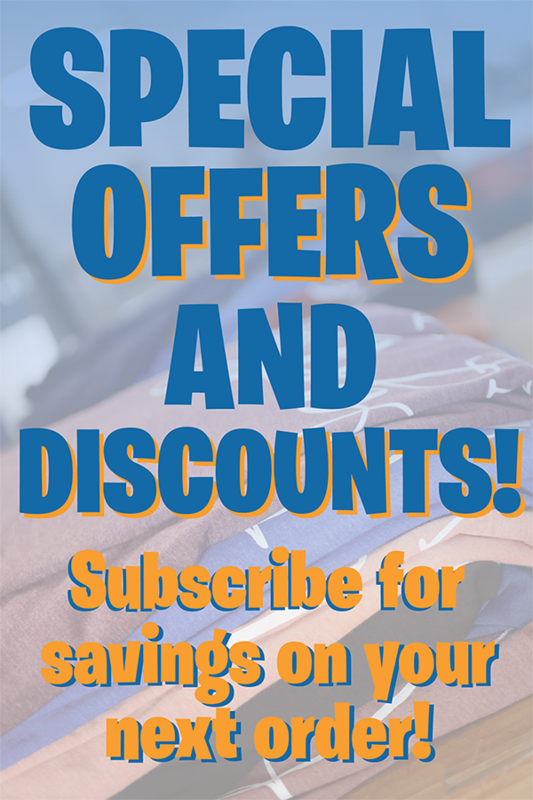 Choose the type of shirt you’d like: T-shirt, sweatshirt, hoodies, and more. Next, select the color of shirt you’d like—we carry 61 colors! 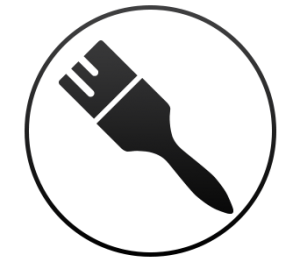 From there, you can upload images or logos, use some of our existing designs and clip art, and let your vision take shape. You’ll be able to add text as well, and can select from the hundreds of fonts we have available. The whole time, you’ll be able to see a realistic mockup shirt while you create, taking out all the guesswork. You also have the option to choose from our hundreds of design templates, which are incredibly stylish and come in numerous options. We’ve created templates that make an excellent starting point for your design. Just select the design you like, and edit the words, colors, and elements from there to make it your own. 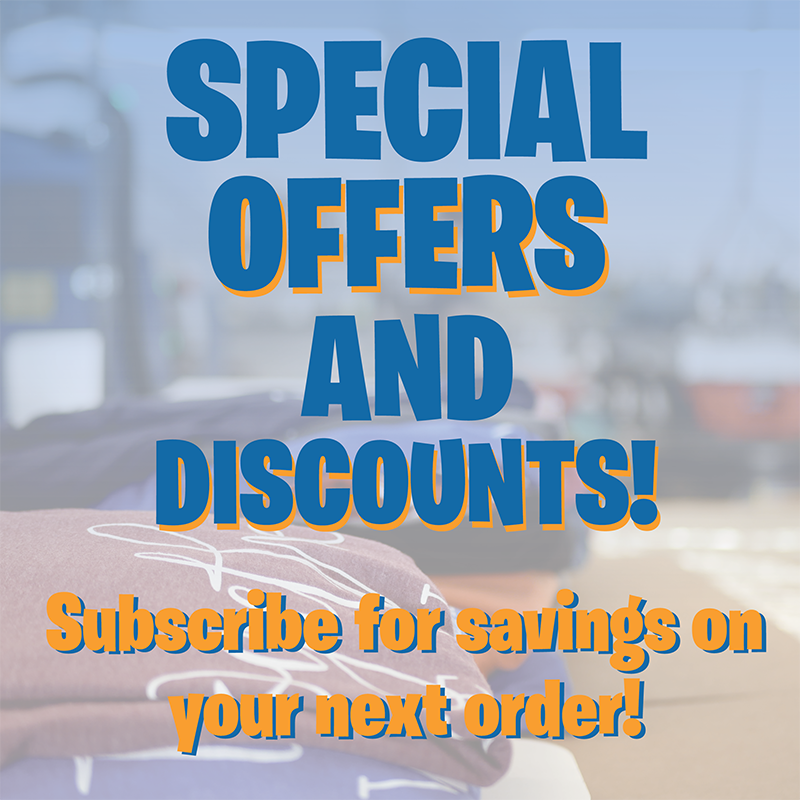 It’s super easy to use, and before you know it, you’ll be able to order shirts online from us—no muss, no fuss! If you’ve decided that Design Studio isn’t for you and you’d much rather have one of our designers take the reins, no problem! Head over to our We Create It page, fill out the form, and let us know what you need. We’ll be in touch with you to discuss your options and begin creating the design of your dreams. To order custom screen print T-shirts online, get in touch with Teeko. Our T-shirt printing services use the latest technology and the highest quality materials available to bring you and your organization the best T-shirts and sweatshirts possible. Order shirts online at Teeko today! 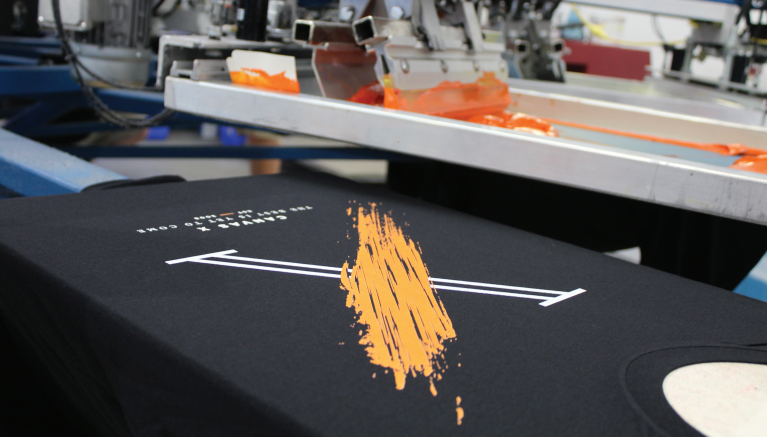 Screen printing is a high quality form of printing that will keep your design alive for years to come! 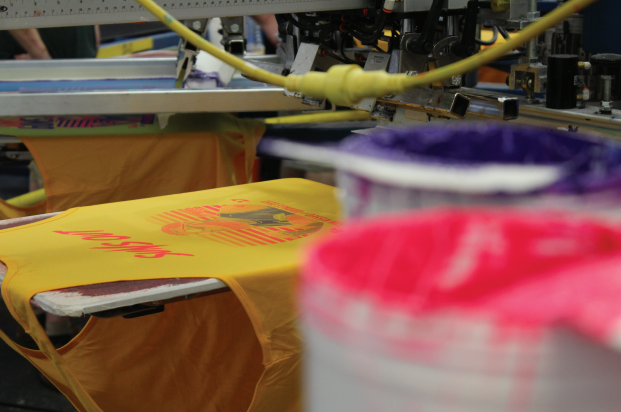 We have been screen printing for over 20 years and experience speaks for itself! Check out our portfolio page for some great examples! Embroidery is one of the most professional forms of garment decoration. Make a statement, impress your clients, or give a valuable corporate gift with this unique decoration method! If you’re ready to design and order custom t-shirts for an upcoming fundraiser, family reunion, marathon, or corporate event, let the professionals at Teeko help. 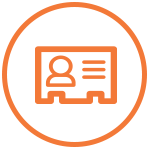 We understand that ordering t-shirts can be a difficult and time-consuming process, which is why we’ve dedicated ourselves to providing our customers with a simple, speedy, and friendly ordering process. 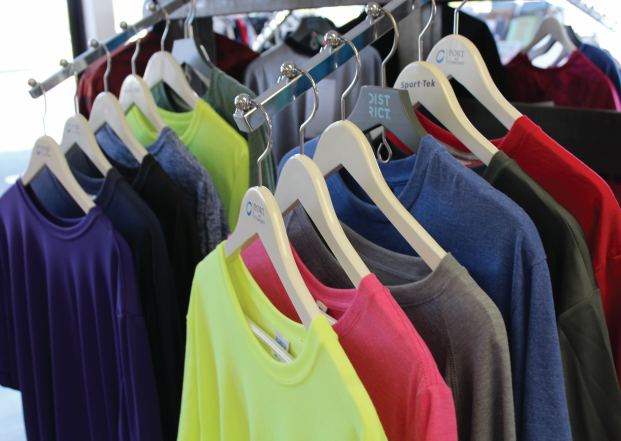 With more than 20 years of experience in the custom t-shirt industry, we’re confident we can handle all of your custom t-shirt design and manufacturing needs. 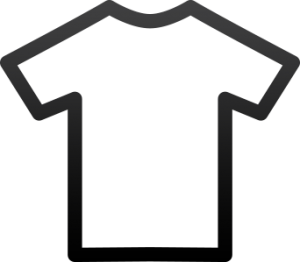 If you’re interested in learning more about our custom t-shirt company or you have questions about designing your own t-shirts online, contact our team of experts today. We look forward to working with you! When should I order custom t-shirts? Custom t-shirts work for almost any event! If you are wanting to represent anything, a t-shirt is great advertisement! Show your appreciation for an organization, fund-raise, or keep your group looking similar for a field trip, t-shirts are a no-brainer! Click one of the links below to learn more! Do you want to create fun and compelling t-shirts for an upcoming fundraiser such as a cancer walk, school sporting event, concert, gala, or auction? Creating custom t-shirts is a wonderful way promote an event, bolster brand identity, help participants feel more unified, and raise some funds for a great cause. No matter the size or scope of your organization’s party or fundraising event, custom t-shirts are the perfect way to hit multiple targets at once. A well-thought t-shirt design can have many advantages for fundraisers, donors, and beneficiaries. If you own or work at a summer camp or Bible camp and you’re interested in getting custom t-shirts made for the children, Teeko can help you come up with the perfect design. Custom apparel can help kids relieve the fun memories of camp, long after it is over, giving them something tangible to remember their camp experience by. By outfitting your campers in fun printed t-shirts with your camp’s slogan or logo on it, you can easily liven up the camp atmosphere the second your campers arrive onsite. While there are many reasons to have custom t-shirts made for school groups, among the most popular is: kids love them. Whether you coach youth basketball or high school football, having personalized t-shirts made with your school’s logo is a great way to help students feel like they are a part of something bigger than themselves. If you have a big 5K or 10K race coming up, creating custom marathon t-shirts for your group may be the perfect way to boost everyone’s spirits. Your friends and family will find it easy to spot you among the crowd, and they will love cheering you on from the sidelines as you sport your personalized race t-shirt. When you work with Teeko on your custom t-shirt order, you’ll be able to choose from thousands of templates and clip art options to find the perfect style for you. If you’d prefer we take the reins on the design aspect, our professional team of graphic designers will work with you to create a fun and memorable marathon t-shirt design. Get a custom t-shirt quote for your next marathon today! If you own a startup business and you’re looking for an easy and affordable way to promote your services, ordering custom business t-shirts from Teeko may do just the trick. 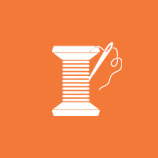 We even offer embroidery services, so you can provide your employees with polos, button-down shirts, and more. As a new business owner, it’s critical that you plan ahead in your marketing efforts to ensure your company stays afloat. If you want to truly get the word out about your products or services, printing customized t-shirts is a great route to go. Whether you’re planning to attend a family reunion, high school reunion, or college reunion, getting custom t-shirts is a great way to show your spirit. When you order custom reunion t-shirts from Teeko, you have the option of designing your own shirt online with our easy to use design studio, or our in-house graphic artists can help you create a professional design and provide you with a proof in as little as two business days. Shirts and apparel are great for any event! Have a birthday party coming up? Get everyone matching shirts! Going on a cruise? Keep your group together and provide a memorable keepsake with shirts! A t-shirt or decorated apparel is always a great idea that is sure to impress your family and friends for any occasion! The larger a church grows, the more important it is that attendees are able to identify church staff. This tends to work very well for big events, children’s ministry, first-time guests, and even emergency situations. Looking for a way to encourage your congregation to volunteer for an upcoming charity event? Creating custom church t-shirts is a great way to show them that you appreciate them donating their time. Ordering custom t-shirts for your church is a simple and effective way to market your congregation. Every time a member of your church sports one of your custom church t-shirts, they are providing free exposure to your congregation.